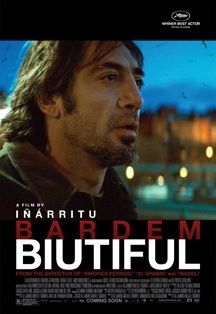 Biutiful (2010) is a movie directed by Alejandro González Iñárritu with Javier Bardem playing Uxbal, Maricel Álvarez as Marambra and Eduard Fernàndez as Tito. This drama story tells about Uxbal, a person who can feel that the death is very close, his fight for recovering the emotional and spiritual balance after a broken love, for the safety of his 2 sons and to make peace with his own past. Let´s start the first day at Barcelona, from plaza catalunya at the Eixample district, walk just few meters on the passeig de gracia street until you will cross the consell de cent street on the odd numbersidewalk, this place was the scene where Uxbal met an African immigrant selling illegal products on the street. Just near to the metro, you will find the ferran street on your left side, take it and walk straight until to reach the jaume I metro station. In the middle of the street, you will discover 2 important buildings (not in the movie), the City Hall and the Palace of the Catalan Government at the sant jaume square. Take the metro L4, direction to la pau and get off at poblenou station at the Sant Marti district. In one of the industrial buildings, there was a scene with a lot of chinese immigrants making illegally false bags like Louis Vuitton. Now to end the day, you will take back the metro but it will be totally up to you because you will go to Hospitalet de Llobregat, a town located in the outskirts. Many scenes have been shot in the Bellvitge hospital (feixa llarga) like the blood test in the beginning of the movie and the scene when he was lying for a brain scanner checking. So if you feel curious, take the opposite direction to trinitat nova and get off at urquinaona station to make a change, take the metro L1 to hospital de bellvitge and like you can guess, you will have to get down at this last station. The 2nd day will be totally dedicated for the 3 other towns, so again it is totally up to you to do it or not. From the catalunya square, take the metro L1 direction to fondo and get off at santa coloma station, you will arrive at Santa Coloma de Gramanet. Once out of the metro and near it, take the big avenue called passeig llorenç serra and walk direction to Barcelona. After crossing 3 streets, turn right and you should be at the passeig salzereda street, at the number 21, there is a scene shot in the former court but unfortunately, the door has been sealed by a wall so no way to see it. Turn back and walk in the opposite direction, after 10 streets, take the one on your right called dalmau then 2 streets farther, turn left and after walking about 20 minutes, you should be at the massenet street. The Sant Joan Baptista church is located at the number 43 where condolences scenes with gypsies have been filmed and near to it, some exterior scenes at rellotge square and wagner and rellotge streets. at the marques de sant mori avenue, in one of the industrial locals, a scene was shot with chinese immigrants sleeping on the ground. This avenue is located just at the exit of the metro. at the floridablanca street, there was the flat of Uxbal, Marambra and their 2 sons near the juan valera street. To go there, near the metro, there is a traffic circle, walk to this direction and take the 2 streets on your left then the first street you will cross, it is the left one. To end the day, walk about 20 minutes to go to Sant Adrià del Besòs, exactly at the bogatell street where there was some scenes with immigrants. To reach it, go back to the avenue and walk direction to Barcelona. At the 2nd street, turn left and keep straight until a big avenue which should be the avinguda d´alfons XIII, turn right. Once you will pass the metro L2 artigues sant adria, it is the 2nd street on your left. Once done, time to go back to Barcelona, so take the metro, direction parallel and get off at passeig de gracia station, at about 5 minutes walking to catalunya square.